Annette Bowsher Hamilton always knew she’d somehow end up in the business world. Even growing up in rural Kansas, she knew. How her business ventures would unfold, she had yet to imagine. “I’ve always been drawn to the business world, and I knew I wanted to work with tribes, as an enrolled member of the Kickapoo Tribe in Kansas. This program (TCEMP) showed me that ‘yes, you can’ and I needed that. I heard about it through my mom, who found an article in a newsletter and she told me. At the time I was working for the Koch Industries in Wichita, Kansas, and I wanted to get an MBA, as I have an undergraduate degree in accounting,” said Hamilton. 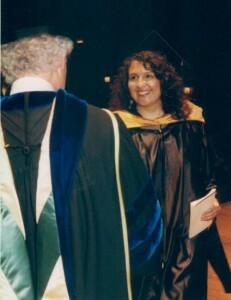 Hamilton’s journey would take her far from the open plains of Kansas and over 600 miles north to the bustling metropolis of Minneapolis, Minnesota, in 1991 to participate in the Tribal Commerce and Enterprise Management Program (TCEMP), a Native professional development program, based at the Carlson School of Management at the University of Minnesota. The TCEMP program was created by the First Nations Financial Project, later renamed First Nations Development Institute (First Nations). The program was previously based at the Yale School of Organization and Management (YSOM, now the School of Management). TCEMP was generously underwritten by the Carnegie Corporation of New York. Campus life at the University of Minnesota proved to be challenging, but Hamilton received support from fellow TCEMP students Aurolyn Stwyer and Terry Mason Moore, who were in their second year of the program. “The three of us – Terry Mason Moore, Aurolyn Stwyer and I – we put together a Native women in business conference and it was a success. Women from all different fields of business and tribal leaders presented and that drew a crowd of about 75 attendees from the university and the Minneapolis Native American community. One of the tribal chairwomen who attended was Marge Anderson from the Mille Lacs Band of Ojibwe. The Mille Lacs were unique. They had money from their casinos, and had built a community center and a corporation within six months. That was one of the highlights,” said Hamilton. Already holding an undergraduate degree in business administration and accounting, Hamilton knew she wanted a different experience with her MBA program. “I had taken undergraduate business courses, so I wanted to take different electives outside of the business school. So I declared my own major – economic development. I had to get the curriculum approved by the Carlson School of Management. At first they said ‘you can’t do this,’ and they had to call in the dean. Ultimately the school supported me, but they didn’t feel the courses I was proposing to take would land me a job. Back then business schools were more traditional in focus,” said Hamilton. Despite the challenges, Hamilton didn’t back down and did get her major coursework approved. 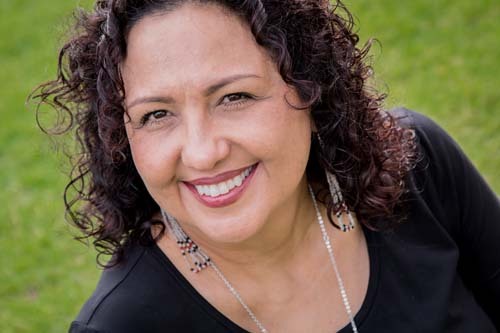 She knew she needed to take not only business courses, but courses that would assist her in tackling the many social issues impacting reservation communities. “I took graduate courses in housing policy, public policy and even social work, classes that would open up my world and help me to work on the reservation. It was not enough to work on the reservation. I knew I had to deal with other things. I took courses that would cover what I thought I might need. It wasn’t a clear path, but I knew what information I needed. I don’t regret making those choices at all,” said Hamilton. Hamilton says the issues she was looking at addressing on reservations still exist today, and it’s not always about getting money to fund projects, but how to create change. “At the time, I had to pull back the layers in my studies as I focused on how to get money to do well and effect social change, to overcome the oppressive conditions, the lack of income, the lack of wellness and healthy living. There are still all of those issues on the reservations. Later, the housing policy classes helped me to understand the obstacles of reservation housing and participate in the for-profit project called the Ho-Chunk Village that is being replicated as the model on other reservations,” said Hamilton. While Hamilton found support and challenging opportunities with the other TCEMP students, life inside and outside the classroom was not always welcoming. “The business school was super competitive and cutthroat. UMN at the time was one of the top 20 MBA schools, so there were students that went to Duke or like colleges, and whose dads were executives at General Mills. One time in the marketing class an executive from Land O’Lakes came and spoke to the class. The students started calling me squaw and it became very hostile. I filed a complaint but nothing came of it. At that time, you just had to keep your head down. It’s not a classroom experience I want to remember,” said Hamilton. Having to navigate such hostile situations could have discouraged Hamilton, but it made her strive further in her studies. “The experience made me more bound and determined that this is what I was going to do and complete it. TCEMP came at the right time for me and Indian Country. I already thought like a business person. I had to learn how to think like a social worker, a housing director, a public policy person and all those difference perspectives. I use all those skills with the MBA,” said Hamilton. Hamilton knows how important the cultural support she received from the other TCEMP fellows, and the American Indian Student Association at UMN was for her. But the tribal connections she made while in the program proved pivotal, too. 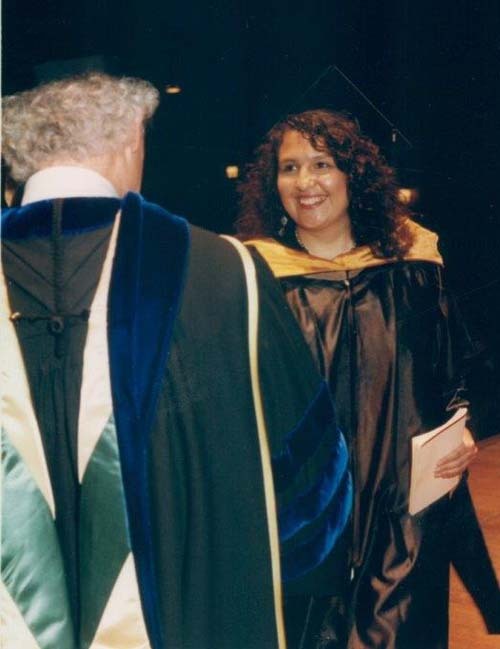 After graduating in 1993, Hamilton returned to Kansas for a short time then took a job with the American Indian Chamber of Commerce in Minneapolis to fulfill the requirements of her TCEMP fellowship. While she enjoyed her time there, she knew she needed to have a more hands-on experience and that she didn’t fit in a traditional job. Marge Anderson from the Mille Lacs Band of Ojibwe, whom Hamilton had met during her first year at UMN, contacted her and talked to her about coming to work for the tribe. The Mille Lacs were looking at diversifying their tribal gaming dollars and their corporations. Hamilton accepted the offer to work for the tribe, and found herself moving to the east-central part of the state where the Mille Lacs reservation is located. Hamilton would not only work for the Mille Lacs, but she went on to work for the Winnebago Tribe of Nebraska, where she now serves as the corporate officer of Vice President and her job title is Chief Operating Officer of Ho-Chunk, Inc. She is in charge of the strategic direction and oversight of Ho-Chunk, Inc.’s five divisions, from government contracting, distribution and retail, to construction and marketing. The 40+ companies and the management responsibilities from operations, financial, administration and human resources, and legislative oversight, fall under her direction. She is very humble about the success she has achieved and acknowledges First Nations and the opportunities that the TCEMP fellowship gave her. “I had met Sherry Salway Black (former First Nations executive) as she came to campus at least twice during the first year. She came and visited us, and that was super important. I look up to her as a Native woman, what she wanted us to be, and what she wanted for us. Years later I met Rebecca Adamson (First Nations’ founder). I went up to her and thanked her for the program, how it impacted me, and that I was already working with Ho-Chunk, Inc.,” said Hamilton. She would not only thank First Nations in person for what she gained from the TCEMP fellowship, but Hamilton would also be able to impact the organization directly as well. Annette, I am so proud of you. I hope you think about helping KTIK after you retire. I am gaining experience in education in Browning that will fuel my future endeavors at Powhattan, if we still have the school after I retire. Good job! Annette has always been a forward thinker in my experience serving with her on the NACA Board. She is a visionary who doesn’t see obstacles,—she sees opportunities to do things better. She’s a blessing to Indian Country.